Millibar is a metric unit of pressure mainly used in European countries and is derived directly from the bar pressure unit which equals 1,000 mbar. In SI units 1 mbar equals 100 pascals. The millibar is most commonly used to measure barometric pressure for meteorological purposes and low range gas pressures due to its very small value. In recent years the mb pressure unit has been replaced by the hPa (hectopascal) which is exactly the same value. However the millibar has been used by many people for many years so it will be a long time before its use is completely phased out if at all. 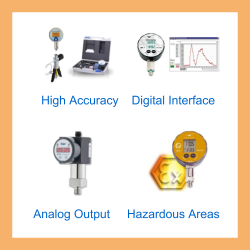 There are three common abbreviated forms used to identify millibar pressure unit which are mb, mbar and mbr. You can convert a millibar reading into a different pressure unit by multiplying it by one of the conversion factors in the table below. 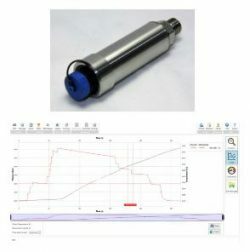 Alternatively you can use our pressure converter to calculate the answer instead. 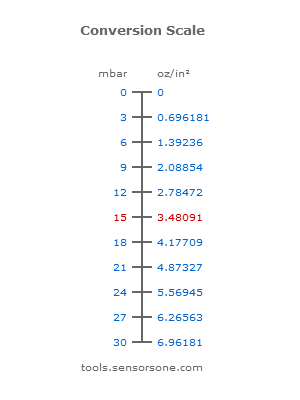 What is the oz/in² conversion for a 0 to 30 mbar pressure range? 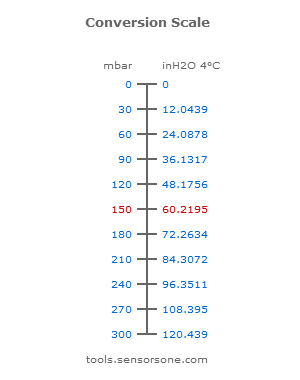 How does a range 0-300 mbar convert to inH2O units? 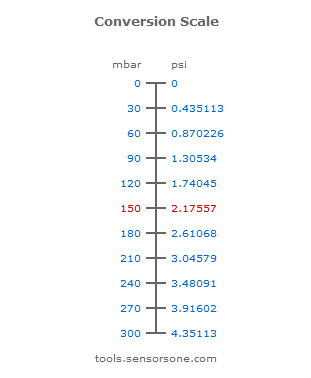 What does a 0 to 300mbar range read if converted into psi? We are looking at sourcing a vacuum pump from Asia for making RTV silicones which is rated in millibars, what does 0.5 mbar equal in “inHg” ? 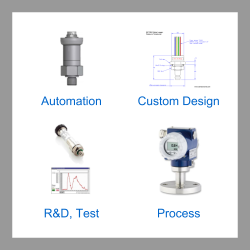 Send us your enquiry for a product associated with this mbar – Millibar Pressure Unit page, and get assistance with selecting a product for your application.